The Geminid meteors are at their peak on 14/15th December. 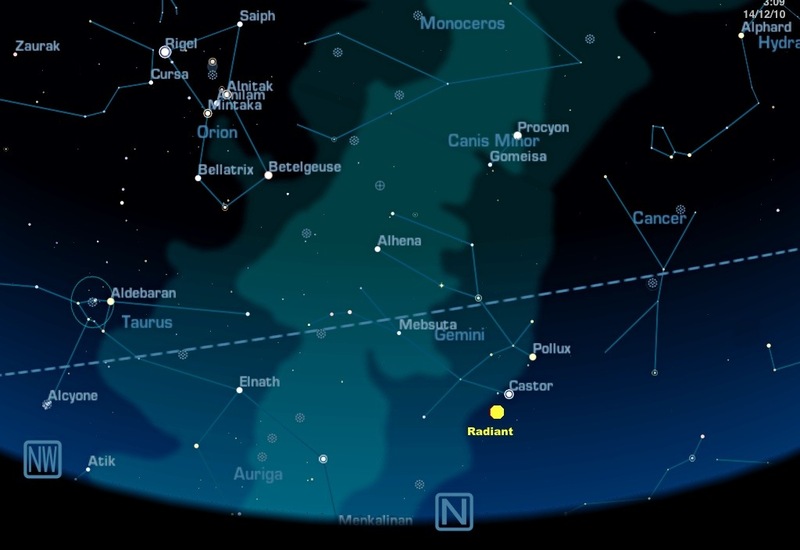 The meteors appear to come from the radiant, in this case, a point in the sky in the constellation of Gemini. Best viewing in New Zealand is between 1am and dawn on Dec 14th and 15th. The constellation of Orion is easy to spot – see above. The radiant is to the right of and below Orion, almost due north, about 10 degrees above the horizon. If you live in a city, you’ll get a better view by travelling north, so the glow of the city lights is behind you.